of community college students enroll in remedial courses. of those students finish remedial as well as college-level courses in two years. of students originally enrolled in remedial courses graduate in three years. class and use it in the course, and they go through it and we teach them how to identify the main idea of the text, what is important to look for and how to comprehend what they read,” she said. Rodriguez also said that she has been teaching classes this way for a few years, even before this decision was made. “I’ve been teaching these classes for about seven years now and I can tell you that it really makes an impact on getting your degree faster,” she said. Construction on the new computer lab is expected to be finished before the 2019 fall semester. reserve for classes, changeable rooms for guest speakers or competitions and rooms for students to record videos with new equipment. “I think that Amarillo College is doing its best to maintain a very proactive and beneficial program,” Kendra Jenkins, a mass media major, said. Jenkins said she recalls numerous times she has been unable to complete audio editing projects because she arrived after the mass media labs had closed. “A 24/7 facility would benefit all of us because a lot of the editing programs we use are expensive and provided by AC, so we depend on the labs,” Jenkins said. important elections and city proposals such as the upcoming Master Plan proposal. Angela Badillo, a social work major, said that she thinks it’s great to see something like this and that it is very much needed these days. “I am actually studying to be a social worker one day and just to have a chance to make an impact on someone is really special to me. Helping families, the needy, kids, I just think it’s good to help people and this is a way to make them see what is going on around them,” she said. Kevin Kite, an art major, said it was a good idea to have a voter registration drive at the school. “The way I see it now nobody has an excuse not to vote. I have kids and I am always telling them that they will be the ones to make the rules one day and this is exactly what I mean,” he said. The voter registration drive will be held on Thursday, March 28th from 11 a.m. to 1 p.m. out in the Oeschger Family Mall in front of the Ware Building and Palace Coffee and the week will wrap up with guest speaker, Dave Kelly, from noon to 2 p.m. in the Oak Room. probably think of is just interacting and being more friendly and social with people. Just trying my best to make people’s lives happier when I talk to them,"
going to sleep that night. So often I have seen people want to degrade or abuse others physically, verbally or online. They may also do this as a result of not knowing how to deal with their own emotional problems or poor coping skills. We all should be trying to build each other up, this life is just too darn hard for us to be tearing each other down. There are also people who wrestle with self-esteem issues. We have social media that can constantly make us compare ourselves to other men and women. Giving one compliment cannot only make you feel like a better person but gives that person a boost for their own self-esteem. Random acts of kindness not only help others have a better day, but also help us see the positive qualities that we are surrounded by daily. Be a light in that person’s darkness. Smile, give a compliment, hold the door for the person behind you. There are so many ways to be kind. Go out and spread kindness all-around. Your kindness may even change that individual’s life forever. any sort of idea, theory or suggestion that could make your community a better place, you owe it to yourself and the people around you to at least try to do something about it. The only way to keep your voice from being heard is to never speak up. If you really want to make a difference, you have to fight for what you believe in. If you don’t defend your beliefs and actions, who will? We have one shot at life on this one planet, and a wildly unpredictable future ahead of each of us. We have to make the best of the time we have. What better time to start than now? and measures need to be taken in order to protect them. Companies should be free from the impact of censorship like this. While this may seem like an isolated incident for now, this censorship is just a window into a larger issue. Chinese censorship, as of 2016, was officially classified as a barrier to trade by the U.S. government. Companies that bear no ill will toward the Chinese government should not be punished for a mistake. Americans can aid and fund people who refer to themselves as “hacktivists” who work to beat the “Great Firewall of China.” By refusing to comply with laws that harm non-Chinese businesses and supporting groups fighting to end censorship, Americans can do their part to protect companies from being silenced. Student Media exists to serve you — the students. The Ranger is an open forum where you can learn and talk about the things that matter to you. The Ranger staff urges you to get involved by submitting ideas, photos, writing, videos and telling us what you want covered. A public critique and meeting is open to the campus community on Fridays at 10:30 a.m. in PH 214 or you can reach us via email at therangereditor@gmail.com. The Ranger is a member of the Associated Collegiate Press, College Media Association, Panhandle Press Association, Texas Intercollegiate Press Association and Texas Community College Journalism Association. For a complete staff listing, visit us at acranger.com. The Ranger is an independent student publication. 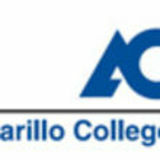 Material published in The Ranger does not necessarily reflect the views of Amarillo College administrators or employees. Temple of Athena Nike and the Parthenon) and the original site of the original Olympic Games,” said Courtney Milleson, a trip coordinator and speech communications professor. “In fact, we saw the actual location where each Olympic flame is lit. It was a great trip because I got to learn right alongside my students.” Students said this trip is something they will never forget. “I wanted to explore a part of Europe that not everyone gets to see. In addition I like art, history, Greek mythology and photogenic scenery so Greece seemed like an amazing opportunity. I truly am so glad I got this opportunity and I got some wonderful photos that I will cherish forever,” Brooks, said. 1 1) A tour of Delphi, which is where the Oracle sat and basically gave people super vague fortunes. 2) Is in the Delphi Museum, the sculpture is The Charioteer. 3) Is entering Acropolis in Athens. 4) Is in front of the Parthenon. provided by the AC jazz chorale and the event will be catered by Feldman’s Diner, according to Danette White from disAbility Services. The program is always hosted by a local celebrity and includes personal accounts from past and current scholarship recipients. These students give an overview of their degree plans and the specific needs and accommodations that are necessary. They also share details about the hardships and struggles they have overcome on their path to achieving a higher education. Tickets are on sale now for $20 per person. Raffle tickets and event tickets may be purchased at the disAbility services office in the Student Service Center on the Washington Street Campus. According to national surveys, members of older generations often see post-millennials and millennials as poor communicators. Some Amarillo College students and instructors, however, disagree with this common condemnation of young people’s communication skills. “Everything about communication has evolved so far that the way younger generations communicate isn’t bad, but it is different,” Courtney Milleson, an assistant professor of speech, said. “Students now are bombarded with so many messages now, I think we have to be more selective of the messages we allow ourselves to hear.” Some students said their biggest problem is coping with distractions. “I wish I was better at talking while multitasking and vice versa,” Eric Gallegos, a criminal justice major, said. He said he sees himself as a decent communicator, but knows he has room to improve. Alexis Sopha, an environmental engineering major, said she often feels anxious when talking to people. “I just feel like I have to constantly have something to say,” Sopha said. activities, which can be anywhere from community service, to a play performed at AC,” Thipaphay said. “They also help us get involved with the community and connect us to attend several volunteer opportunities.” Thipaphay said he has volunteered at places such as the Downtown Women’s Center Thrift Store and the Eveline Rivers Christmas Project. “I do it to get connected with the community and to help make a difference,” he said. Required volunteering is a good way to teach young people the importance of community engagement, according to Nancy Ramirez, a regular volunteer at Snak Pak for Kids. “It rarely comes from their own free will,” Ramirez said. When high school and college students volunteer for classes, the often discover that they enjoy participating in their community. “Back in high school I was involved in clubs where community service was a requirement. That is when and how I found out about the Eveline Rivers Christmas Project and ever since then I love to volunteer there when time allows me to,” Teposte said. AC Student Life provides a list of local community service opportunities and hosts regular volunteer events. To learn more, go to https:// www.actx.edu/studentlife/ volunteer-opportunities-andservice-learning. school and get a degree.” There are tools and technologies that help students plan their classes. “We have a student planning module that can be accessed through AC Connect and gives students access to see it,” De Anda said. “We have access to mold it to what students are wanting to do. If students say they want to do every semester then that helps me plan out the classes every semester. The student planning is going to be the biggest point of reference while being here,” she said. the movie. We love this stuff, and our hope is always to share that joy with our students.” For students seeking to fulfill specific degree requirements, literature classes satisfy several general education categories. “They should transfer anywhere as part of the student’s core,” Ferguson said. AC's diversity committee hosted a free lunch and a panel discussion in honor of International Women's Day on March 21.
such as adoption, divorce, child support and custody. When dealing with situations in this area, students should seek legal assistance rather than trying to handle cases on their own, Robin Malone, the coordinator of paralegal studies and AC Legal Clinic director, said. “The AC Legal Clinic assists students with, family law, landlord tenant matters, probate, estates and wills, expunctions/nondisclosures and general civil matters,” Malone said. “An attorney is trained to identify and address legal issues,” she said. We have two attorneys in the clinic, me and David Kemp, ready to assist students.” The AC Legal Clinic is located in the Byrd Business building on the Washington Street Campus. It is open Monday through Thursday from 10 a.m. to 5 p.m. and Friday by appointment. experience every time I went, and I probably went six or seven times.” Tutors ensure that the student feels comfortable being there, said Giasson. “A lot of it is just being attentive. You don’t have to be uncomfortable coming to ask us a question. It’s not a stupid question; you just don’t know what you’re doing in that specific area, so we can help you,” she said. Many of the tutors use the Socratic Method to question students to see if they understand what is going on, said Giasson. She also said that the tutors strive to help students become more selfsufficient in their studying. “Don’t be embarrassed. There’s nothing wrong with not being sure about what you’re doing. We have all been there. There is nothing shameful about it. I think there has always been a big stigma against going to tutoring, but you’re utilizing the resources that you have to make sure you’re doing the best that you can,” said Giasson. The Ware Tutoring Center, located in Ware Student Commons, Room 113, is available to help students with any subject except for math and science. Other tutoring locations on the Washington Street Campus include the Math Outreach Center, the Science Tutoring and Success Center, the Writers’ Corner and the Reading and Writing Lab. There are also tutoring facilities on the West Campus, Hereford Campus and Moore County campus Online tutoring services are also available. the ship breaking in half and hundreds of people are left to freeze to death in the cold waters of the north Atlantic.. “A Night to Remember,” however, plays all sides. Where some characters got a small mention, or were deleted entirely in “Titanic,” they shine in “A Night to Remember.” Margaret Brown is one of the highlights of both films, but she is stronger in the 1958 film. Instead of being out for most of the sinking, she is seen taking action. She helps a woman into a boat, and demands to go back to save lives. Captain Smith, Bruce Ismay, Thomas Andrews all are better portrayed in “A Night to Remember” than in “Titanic.” In “A Night to Remember,” the Carpathia, the ship that picked up the survivors, is shown, as is the Californian, a nearby ship that heard the distress calls, saw the distress rockets and watched the ship sink, but did nothing that night. This film is the only Titanic movie to show these other ships’ perspective on the event. As far as “A Night to Remember” goes, it is absolutely packed with history, while “Titanic” is packed with teenage hormones and melodrama. On one hand, “Titanic” is the best visual representation of the ship sinking, and had a ton of heart put into the effects. But on the other hand, “A Night to Remember” is one of the best historical films ever made because of its accurate storytelling and countless cast of characters. sub-genre. It’s kind of a cult theme among film and TV shows because it makes sense. When every other big movie is about a superhuman or hero, the generic hero storylines are boring. I love that we’ve gotten to the point where we can explore the real world consequences of running around in tights or having abilities. The acting comes off as genuine and relatable. Each member deals with personal issues that real people go through. The separation of a mother from her child, a child told she was never more than ordinary, troubled minds and multiple insecurities are explored. Loss, bitterness, addiction, family but mainly loneliness. The reason Gerard Way wrote this series about a family was because of the strong ties that he had with My Chemical Romance. The band members were even represented in some of the characters of the show. I very much appreciate the limited use of CGI for action. A lot of the show is actual props and lights. It helps to ground the realism even further. The powers do often have visual effects associated with them but they are kept subtle until they are needed to be increased visually due to the severity of the action. The producers clearly didn’t have the budget they wanted. Still, the effects were well done where they needed to be. Conceptually, the show can get pretty heavy. There is nonlinear time travel and more than a few mysteries to solve. It does require some attention, but I doubt anyone who makes it past the first episode will have a hard time finishing the series. Even though they didn’t have the budget and the quality effects they needed to pull everything off visually, the show rarely dipped in quality. armies, had super heavy units that could decimate the game on their own. The formations gave certain play styles and massive amounts of a specific type of units (spam) a bonus for taking certain groups of units. This became problematic due to people finding loopholes to get free units or gain buffs that would be game breaking. The dreaded Strength D weapons had the power to wipe entire units off the board in one shot. Roll a six sided die, on a one, it misses, on a 2-5 the unit takes d3+1 wounds with no saves. Anything that was left had taken a moral check that was bound to fail due to rules. People stopped playing the game because people would take models with the destroyer weapons and then include them in a formation lists to buff them to the stratosphere for free rerolls. The game just kept getting increasingly boring and no longer fun for anyone not power-gaming. In the new edition, formations were completely removed and destroyer weapons got slapped with a nerf bat to be more like standard weapons, but with multiple shots and high armor piercing ability, however one shot only goes to one model, period. No more rolling wounds on the rest of the squad. Simple grunts actually stand a chance against a tank now. A wound or hit roll of a six will always hit or wound, unless a rule says otherwise. This helps guarantee that everyone has a chance to fight or do something. There is not a completely useless unit now for the most part. The rules have become read and play style, making it simpler to jump in and figure out the mechanics. Start Collecting and KillTeam kits are massive money-saving boxes to help people start an army. The Tau Start Collecting box is now $95, but comes with a $50 pulse rifle/carbine/breacher team that can be made into two separate five person squads or one big squad with three different weapon configurations and many extra parts for kit-bashing or making other cool models. It also comes with a $75 box of crisis suits, eight gun/ shield/marker drones ($12 a pair) and a $15-$25 ethereal model that is now exclusive to that kit and come with the rules for the models. The game is an amazing experience and I highly encourage people to watch people play a couple of games either via YouTube or at a gaming store before jumping headfirst into the game. Starting an army should be solely what someone thinks looks the coolest out of the 25-28 factions that can be interwoven with one another. You are not restricted to only taking one particular faction. There are some rule benefits for taking certain factions together. Play with friends, have fun and view the rules as guidelines.